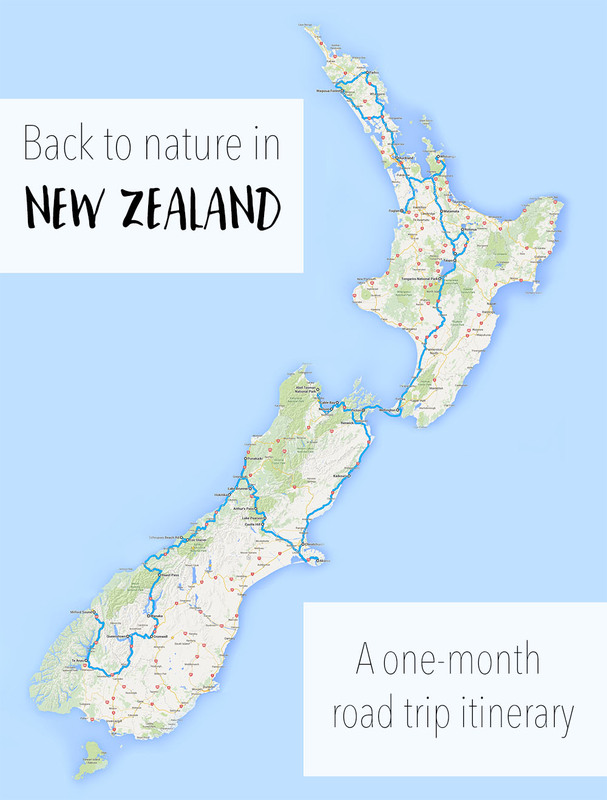 This is the second part of our back-to-nature New Zealand road trip itinerary. 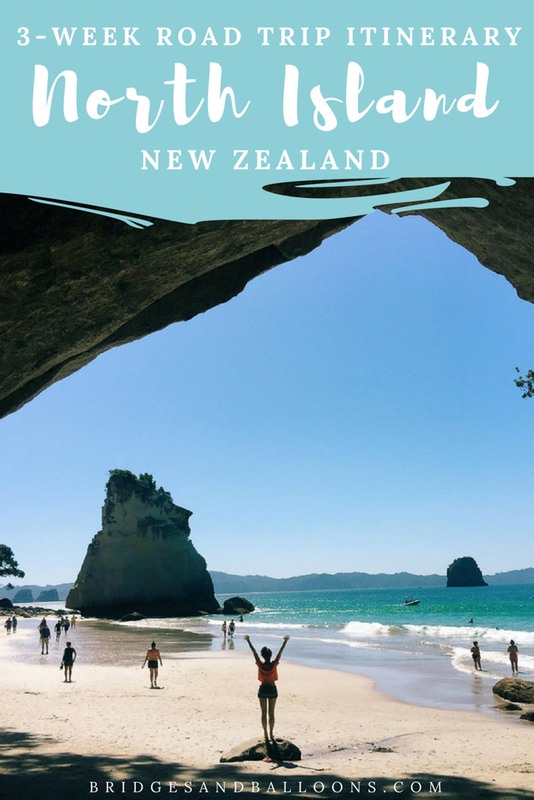 The first part focussed on the South Island, and this part takes details our New Zealand road trip North Island itinerary. In the first post, I also explained all the logistics of our road trip in New Zealand: how much we spent, the kinds of places we stayed, and the experiences we were looking for. I suggest reading that one first then delving into this one for all the New Zealand North Island itinerary details. For car rentals, we recommend booking with Rentalcars.com. They always have the cheapest deals. If you sign up to AirBnB using this link, you’ll get £25 off your first booking. 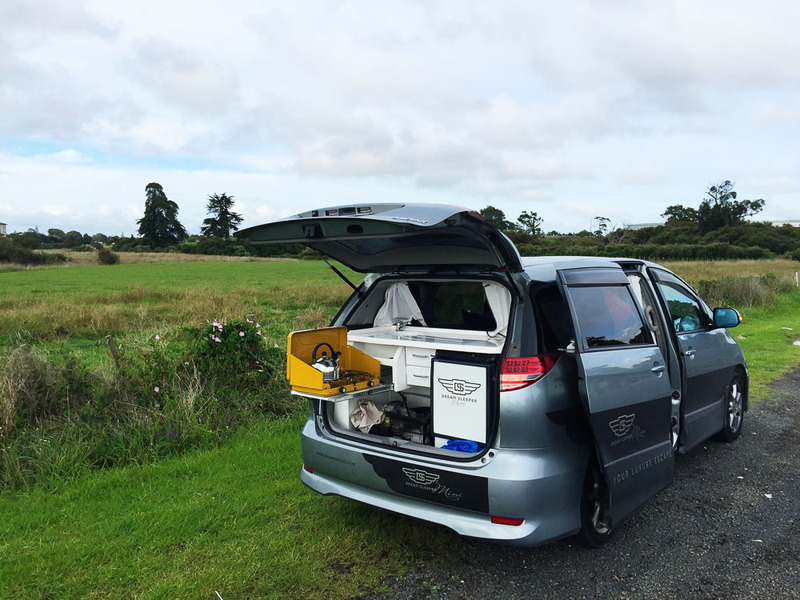 Read our guide to how to choose a campervan in New Zealand. See our travel resources page for all our best travel tips, including how to save money with the best cards, what insurance to choose, and all our favourite tools and tricks. They’ll help you to plan the perfect North Island New Zealand road trip. For the first part of this trip, read our South Island road trip itinerary. We did a home exchange in Wellington, using the website Home Exchange. Stay at AirBnB apartment. Sign up to AirBnB using this link, you’ll get £25 off your first booking. 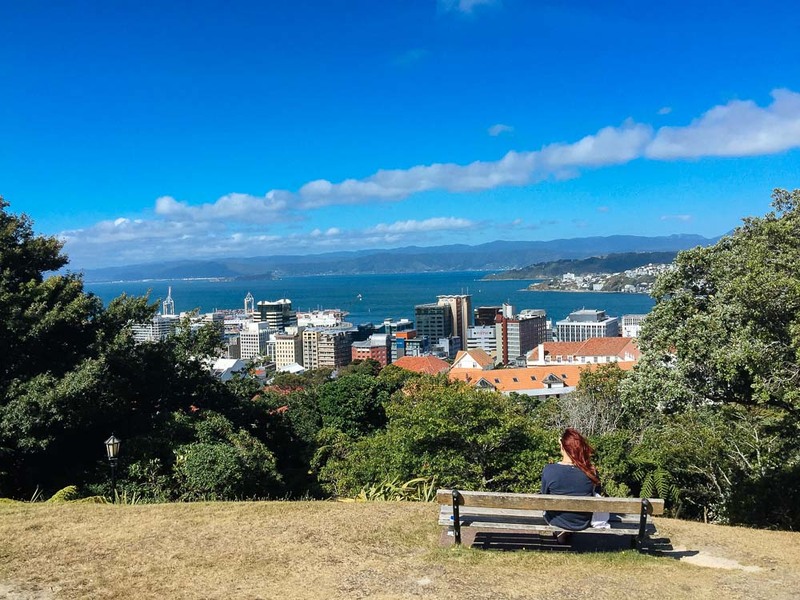 Our time in the North Island began in Wellington, which was named one of “the world’s coolest small capitals” by Lonely Planet. After almost a whole month in nature, it was a bit of a shock to be back in a city environment and we didn’t love Wellington as much as we thought we would. That said we were biased because of our mood and I think the city has a lot to offer. There were lots of excellent restaurants and cafes and we enjoyed the city’s creative vibe. The botanical gardens are also beautiful. For more info on Wellington, I recommend reading Liz’s post as she lived there for a while and loved it. We did a home exchange in Wellington, using the website Home Exchange. I’ll be writing more on that soon as it has become one of my favourite ways to travel. We got to Wellington by taking the Interislander ferry from Picton. The first half of the three-hour journey is beautiful, taking you through the magnificent Marlborough Sounds. After that, you’re on the open sea, which was pretty rocky. I felt very sea sick, which didn’t mix well with all the wine from the day before! While in Wellington, we walked everywhere. 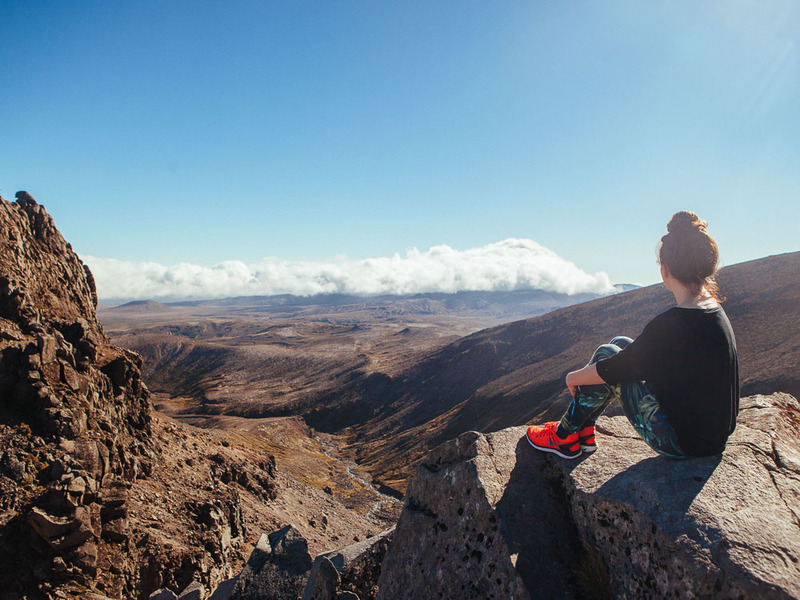 We had grand plans for Tongariro and really want to do the one-day Tongariro Crossing hike, but we both injured ourselves so had to pull out. The Wanderlusters have written a guide to the hike here. As we couldn’t do it, we opted for a shorter walk from up near the Whakapapa Apline Chairlift. The chairlift itself wasn’t in use but we walked around the area and got a great view of Mount Ngauruhoe, which was Mount Doom in Lord of the Rings. We stayed at the Adventure Lodge and Motel, which was clean but basic and run by a rather unfriendly woman. But she was really knowledgeable about the area and this would be a fine place to stay if you’re doing the hike (they give lifts to the start of the hike in the morning). It cost NZ$110 (£55) for a double room. We hired a car in Wellington, which we kept for the next five days before collecting a camper van in Auckland. We used Omega Rentals again. The journey from Wellington to Tongariro was meant to take four hours, but we hit traffic, which made it more like five. Lake Taupo is the North Island’s answer to Queenstown, filled with lots of adventure activities and gorgeous nature to explore. It’s a laidback little town that you could easily spend a few days in. 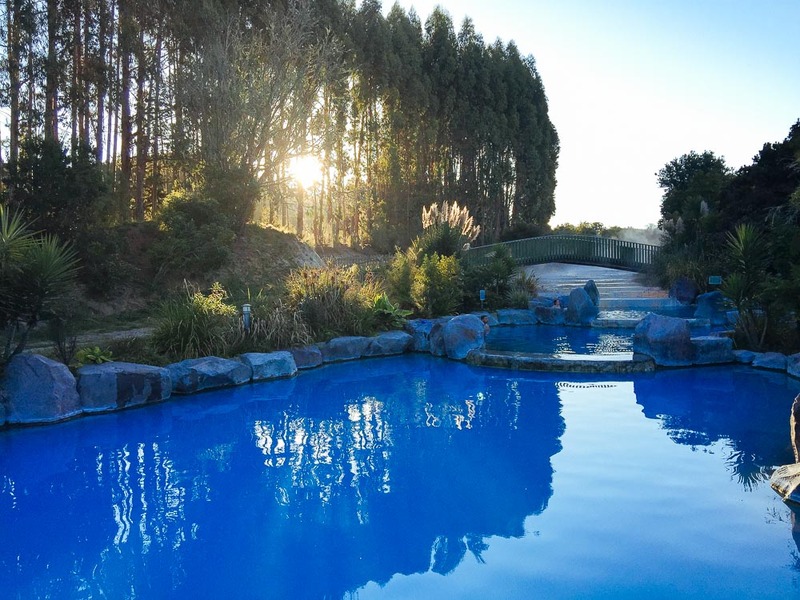 We were there for just one night and used that time to walk along the lakeshore, visit the magnificent Huka Falls, and relax at the amazing Wairakei Terraces, a little complex of thermal pools, fed by the mineral-laden Wairakei geothermal steamfield, and surrounded by beautiful gardens. It’s one of the most beautiful thermal spas I’ve ever been to, and spending the evening there bathing in the pools as the sun went down was magical. You can also take a self-guided tour of a re-created Maori village, including an artificial geyser. We stayed in a double room at a friendly hostel called Tiki Lodge Backpackers, which cost NZ$80 (£40) for a double room. It’s in easy walking distance of the town. The drive from Tongariro to Lake Taupo took one hour. It’s a beautiful drive with some pretty viewpoints along the way where we stopped for a picnic. 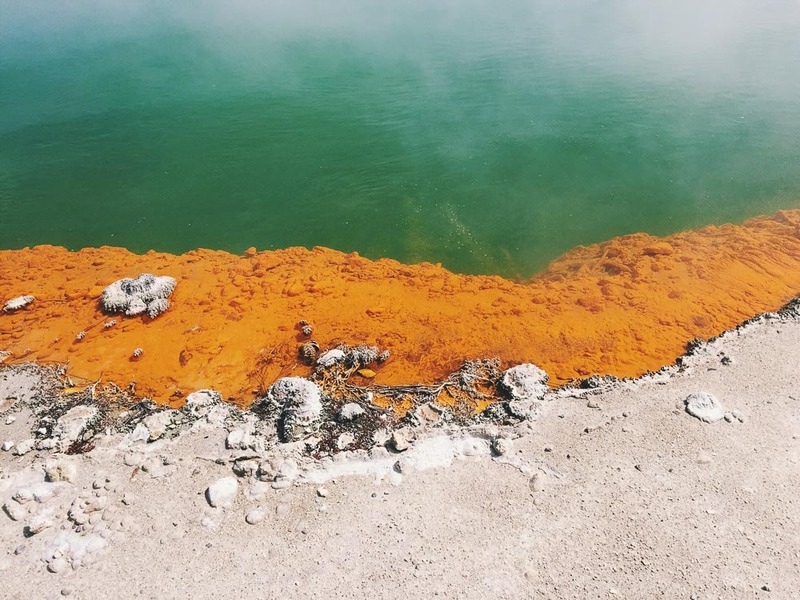 Rotorua is the place to go to see New Zeland’s thermal activity and learn about Maori life. 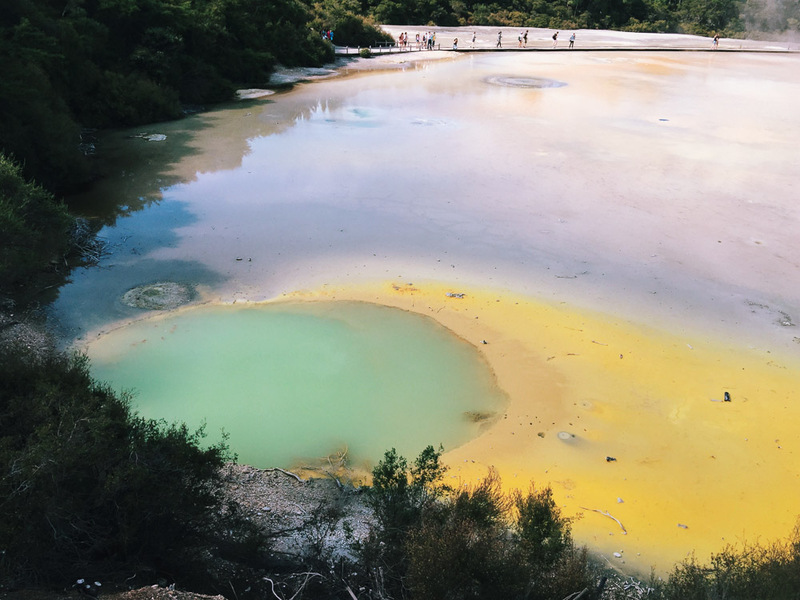 Nicknamed ‘Sulphur City’ it’s the North Island’s most smelly destination, home to steaming hot springs, impressive geysers and bubbling mud pools. Thirty five percent of the population is Maori and there are a couple of centres you can visit to learn more about Maori life. A few years ago there was a rift within the main Maori tourist attraction, which resulted in it being split in two. On one side is Te Puia and on the other side is Whakarewarewa Village. We chose to go to Whakarewarewa as this is a little village where Maori people still live today and we felt that would be more interesting. The villagers show you around and tell you about their way of life and the significance of all the thermal activity. We also tried some sweetcorn that was cooked in one of the mineral pools! We can’t really comment on which one is best as we didn’t go to Te Puia, but we were happy with our choice. At Te Puia, you can see kiwi birds as well as Pohutu, a geyser which erupts up to 20 times a day. You can also see Pohutu in the distance from Whakarewarewa. While in Rotorua, we also visited Wai-o-Tapu, the geothermal wonderland. Some people find this place too touristy, but I still thought it was pretty amazing with all the incredible naturally coloured waters and minerals. There’s a geyser that is made to spout at 10:15am every morning. They use organic soap to trigger it, which is also how it was discovered when prisoners were washing clothes in the water! Finally, while in Rotorua we couldn’t resist going for some treatments in the mineral-rich mud and water. We opted for a mud bath at the QE Health Spa, and a visit to the Polynesian Spa where you can bath in spa pools while overlooking the lake. We highly recommend both. One thing we didn’t have time to do is go on the Skyline Rotorua Luge. It’s run by the same company as the one in Queenstown and we loved that so I’m sure it’d be great fun! We stayed at a lovely AirBnB apartment, which was short 5-10 minute drive from the centre. The nicely decorated apartment in a residential area was a self-contained studio loft in the owners’ garden – we loved it. It cost NZ$100 for one night. The drive from Taupo to Rotorua is just one hour. Wai-O-Tapu is on the way so we stopped there first in time to see the Lady Knox geyser erupt. We managed to see all we wanted to in Rotorua within that one day. 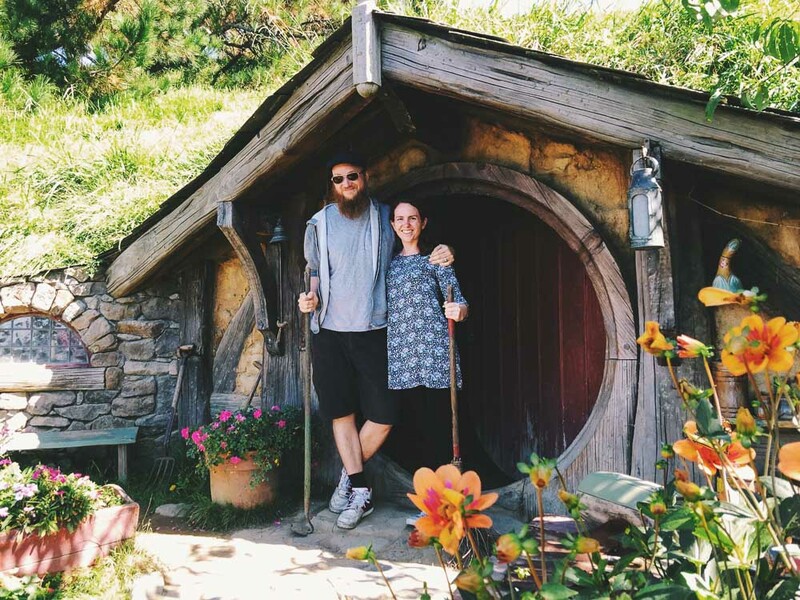 From Rotorua, we drove to Matamata, home of one of New Zealand’s best tourist attractions, the Hobbiton movie set! I’m not a mega Lord of the Rings fan, but I absolutely loved visiting the set. It’s such an incredible place and I found the amount of work and detail that went into building it fascinating. The whole set has been left intact since the filming of The Hobbit, and you feel as though you’ve stepped into some sort of real-life magical land. You have to do a tour and it isn’t cheap at NZ$79 per person, but I do think it’s worth it. 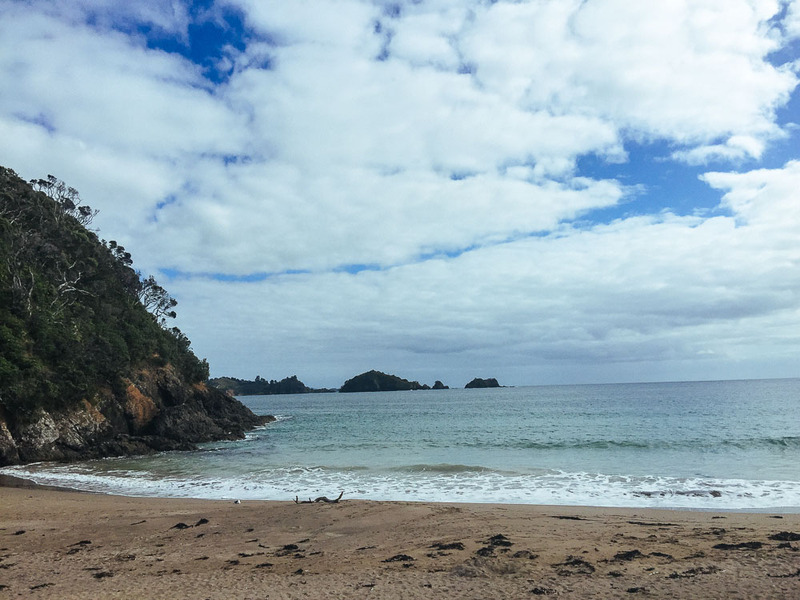 After Hobbiton, we headed to the Coromandel Peninsula, which was recommended to us time and time again by New Zealanders themselves. It’s a gorgeous part of the country with deep forests and a mostly unspoiled rugged coastline. We stayed for two nights in an amazing treehouse in the forest. While there, we visited two of the Coromandel’s main tourist attractions – Cathedral Cove and Hot Water Beach. They’re both busy places, but very much worth visiting – Cathedral Cove for its beauty, and the Hot Water Beach for the novelty. Thermal waters run beneath one section of the sand, so you can dig your own hot pool. Be careful though, as some parts of the beach produce scalding water. It’ll inevitably be busy so take notice of the areas that other people are avoiding! We stayed at an incredible treehouse near Whitianga. I’ve written a full review of the Coromandel treehouse here. One night at the treehouse costs NZ$270. It’s definitely worth it! The drive to Hobbiton takes one hour from Rotorua. We got a little lost and stopped at the Matamata iSite to get directions. You can see a map of where Hobbiton is here. From Hobbiton, we drove up to Whitianga, which took about three hours. 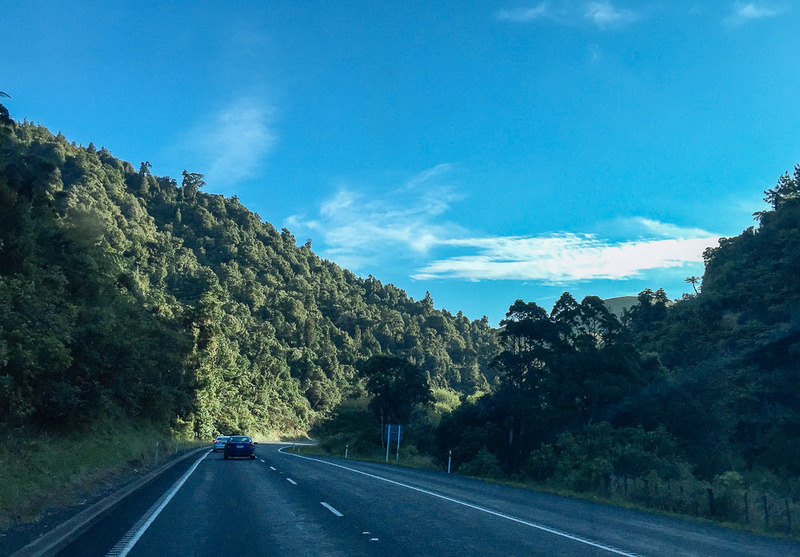 The final part of the drive, once you hit the Coromandel Peninsula, is particularly beautiful, along forest-lined coastal roads. There are tons of farms along the way where you can buy fresh avocados and other produce. Wellington is New Zealand’s capital, but Auckland is the country’s biggest city and up to 25% of the population live there. As I’ve said before, we were prioritising nature in New Zealand so we were only in Auckland for two nights, one on the way up to the Bay of Islands and another on the way back. It felt like a very liveable city, with a relaxed vibe and a great seaside location. Oddly, the only thing Steve and I did there, aside from eat out, was go to two different escape rooms. We recently discovered these and love them so decided to try out the two different companies in Auckland. Both were good, but out of the two, we preferred Escapade NZ where we did the Bach room. 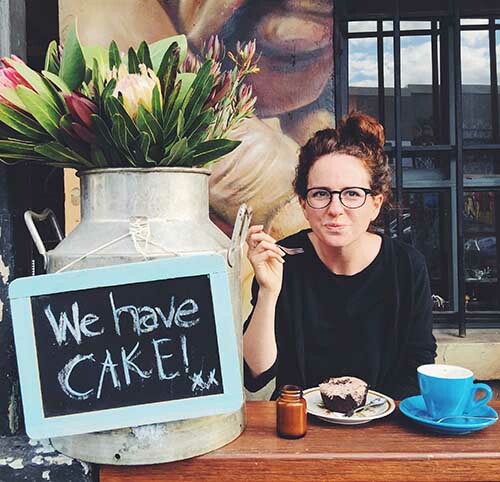 We stayed at a lovely woman named Aimee’s AirBnB in the pretty Grey Lynn area of the city, which is a residential area, close to the more vibrant and hip Kingsland and Ponsonby. It was a great location with lovely hosts. Highly recommended. The journey from Whitianga to Auckland take 2.5 hours, but expect to add a bit more once you get to the city as you’re likely to hit traffic. It took us an extra 40 minutes. We were able to park at the AirBnB for free. This marked the first day for us in camper van on the North Island. We picked up our Spaceship camper van in Auckland and made our way up to the Bay of Islands, stopping at Whananaki along the way, mainly to break up the ride, and also because we wanted to experience a peaceful spot along the coast. The Otamure Bay DOC campsite didn’t disappoint and we enjoyed spending the evening there, listening to the sound of the waves and taking a stroll along the sea front. In the morning, we saw people stand-up paddle boarding, which would have been fun if we had the equipment. We stayed at a DOC campsite called Otamure Bay, which is a peaceful spot on the beachfront run by a friendly family with about eight children. We picked up our camper van in Auckland and drove up to Otamure Bay. The journey was supposed to take three hours, but traffic made it four. There are some great real fruit ice-cream stalls along the way! 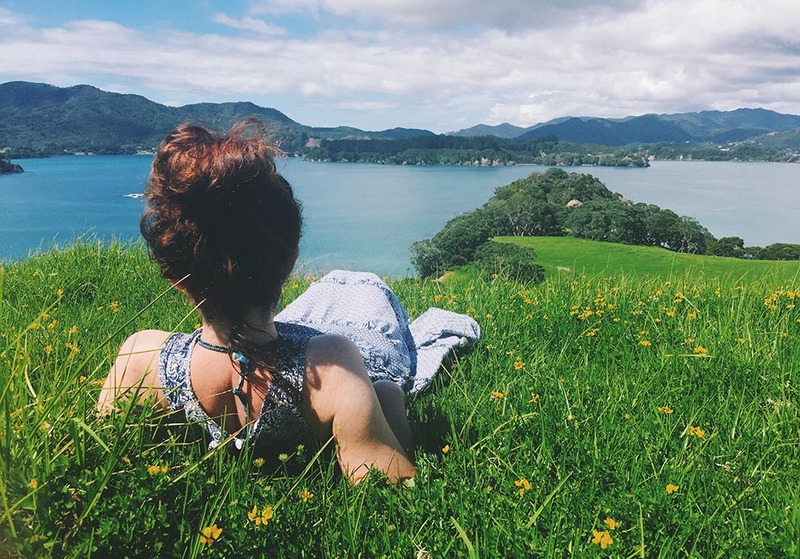 The Bay of Islands was one of our favourite places in New Zealand. It reminded us of an exotic version of England, a little like Cornwall but with warmer water and sunnier skies. We did two boat trips while we were there and loved both of them. The first was a full day sailing on the R Tucker Thompson, an incredible tall ship that doubles as a teaching vessel during the off-season. All the profits from the tourist sales go towards providing youth development voyages for 13-18 year olds where they learn about teamwork and leadership skills. Aside from the charity angle, which of course adds to its charms, the tall ship is worth going out on anyway for a beautiful day sailing around the islands. It was one of the highlights of our entire time in New Zealand. We especially enjoyed climbing the rigging and sitting on the bow. Tea and scones are served in the morning, as well as a lunch later on, and even champagne if you want it! 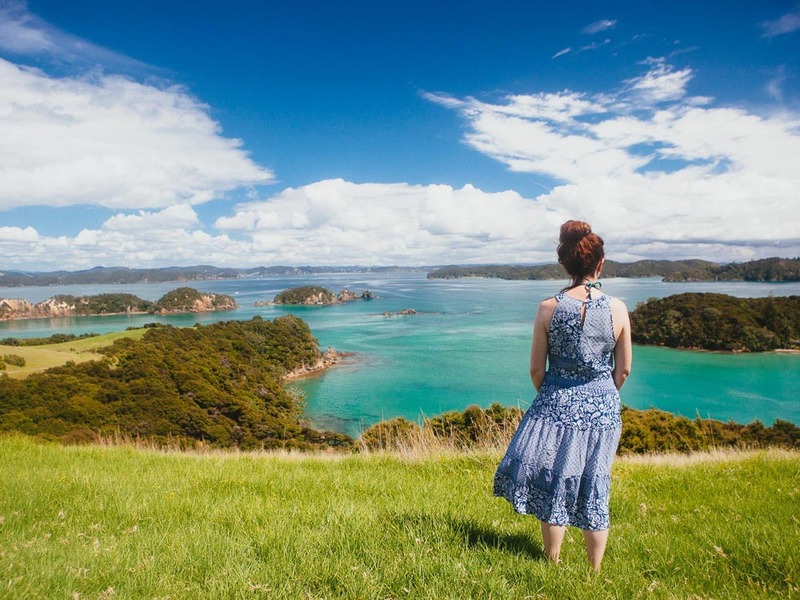 The second cruise we took was the Cream Trip with Fullers Great Sights, which follows the old delivery route around the Bay of Islands from Paihia. This was a very different experience to R Tucker Thompson one – less personal and on a big catamaran with more people. But it also meant we ventured further, plus there was the added bonus that this trip included the opportunity to swim with dolphins. Unfortunately, we were unable to swim with the ones we saw because the dolphins had babies with them, which is against the rules for swimming. We did, however, spend a magical 30 minutes sailing alongside the dolphins as they playfully danced and interacted with the boat. Other highlights of the trip included spotting penguins, sailing through the hole in the rock and visiting Otehei bay where we went for a walk up over the hills for a beautiful view across the islands. We also had fun trying the boom netting, where you hold onto the net as it pulls you alongside the boat! While in the Bay of Islands, we also went tandem parasailing, which involved being pulled around the island 1200ft in the air from the back of a boat. It was somewhat nerve-wracking, but the views were spectacular. 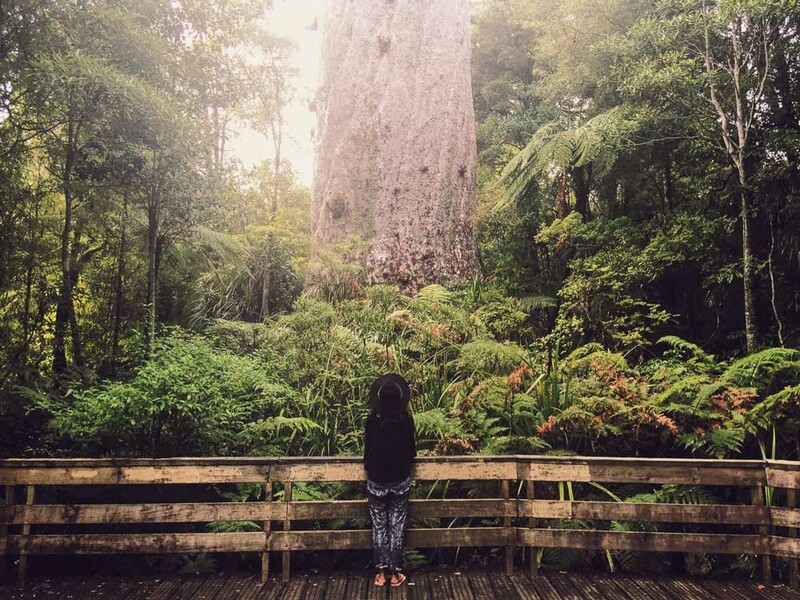 On our final day, on the way back to Auckland, we drove to Waipoua forest, home to the tallest kauri tree in New Zealand, the magnificent Tane Mahuta. We also stopped to see Te Matua Ngahere, another ancient kauri tree that isn’t as tall, but is wider and older than Tane Mahuta. Both were beautiful and certainly worth seeing. We stayed just outside Paihia in the Bay of Islands holiday park. It was one of the nicest campsites we stayed at, set within a pretty woodland garden and bordering a river. A powered pitch cost NZ$32 per night. From Whananaki to Pahia takes around one hour by car, but we chose to drive via Russell and get the ferry to Pahia from there. That allowed us to see the quiet little town that was once described as the hell hole of the Pacific. After the Bay of Islands, we spent one night in Auckland where we switched camper vans, before heading down the west coast to New Plymouth. We might not have included this in our itinerary had it not been for the fact that we had tickets for the WOMAD festival that was taking place down there. 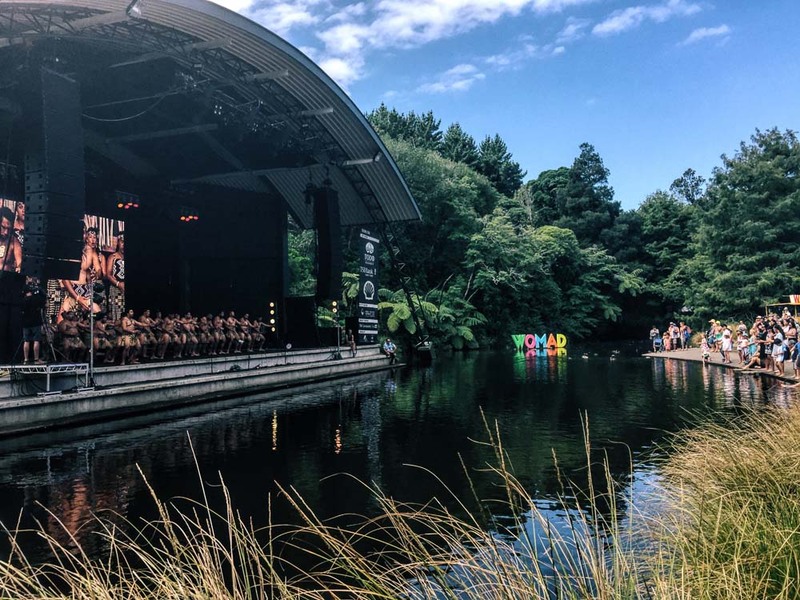 Our entire time in New Plymouth was taken up with the festival (which was amazing! ), so we don’t have many tips on the area. But I would say that the journey down there was spectacular and some of the most stunning scenery I saw on the North Island, especially along the coast between Mokau and New Plymouth, and thought the forest valley between Mokau and Piopio. In New Plymouth, we stayed in our Britz Action Pod at the WOMAD campsite. It was one of the most civilised festival camping experiences we’ve ever had. They had proper showers and toilets, which is generally unheard of at British festivals! 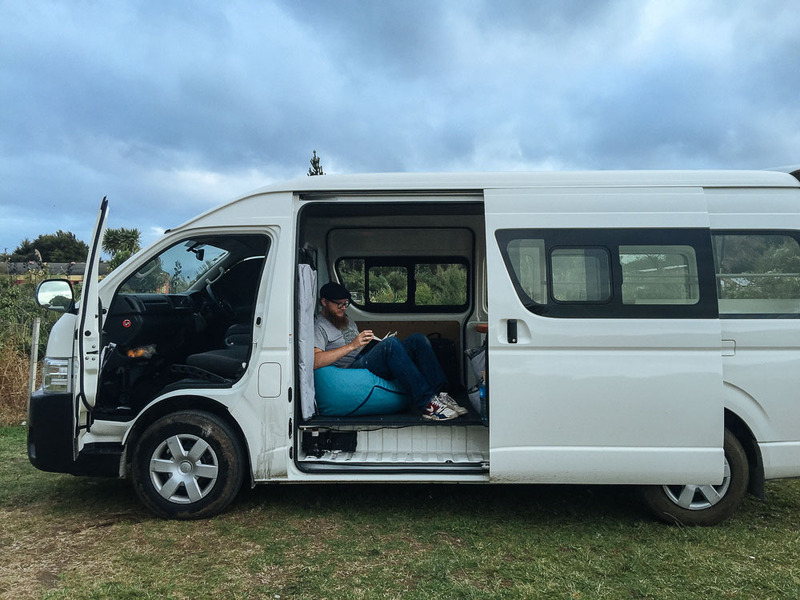 Before heading to New Plymouth, we swapped camper vans in Auckland. This time choosing the Britz Action Pod. The journey to New Plymouth from Auckland took about five hours. If it hadn’t been for the festival, we likely would have stopped somewhere along the way, but we were eager to get there on time. As I said before, the journey between Hamilton and New Plymouth has some spectacular scenery. 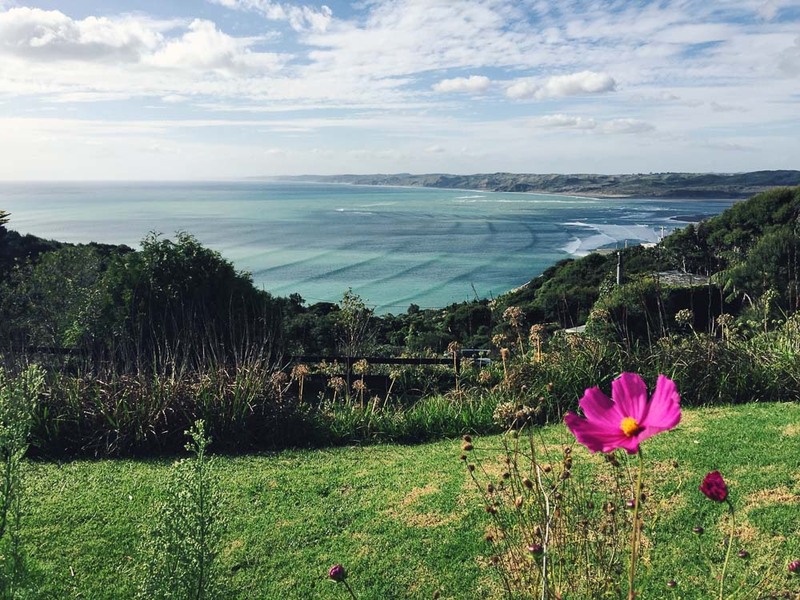 We’d heard great things about Raglan, a popular surf town on the North Island and we weren’t disappointed. We loved the town’s laid-back vibe, great cafes, and magnificent coastline. It’s the kind of place we could imagine returning to for longer to learn to surf or simply relax by the sea. On the way there, we also stopped at the Waitomo caves where we went on a caving adventure to see the glowworms. I get claustrophobic so the whole thing was pretty challenging, but definitely worth it – I’ve written about the experience here. The company we went with was a small family-run business called Glowing Adventures who I can’t recommend enough. In Raglan, we stayed in two different places as our first choice, Solscape was fully booked the first night. Solscape is a gorgeous eco retreat with a wide range of accommodation from campsites to eco cabins. The common area has an incredible view of the sea and is a wonderful place to relax and enjoy some wholesome food. We both had an excellent massage there. The other place we stayed was a simple holiday camp right on the coastline. It certainly lacked the character of Solscape, but had direct access to the beach and town, which was a bonus. A powered site cost NZ$20 at both places. The journey from New Plymouth to Waitomo was 2.5 hours, and from Waitomo to Raglan took about 1.5 hours. This was also our final stop on the North Island. Afterwards, we dropped our campervan back in Auckland before flying away. The journey from Auckland to Raglan is 2 hours, but you need to allow extra for the traffic you’ll likely hit around Auckland. Read part one of the itinerary – the South Island road trip. And here’s a storybook version of the south island part of the trip, and a storybook version of the North Island. If you’re planning a trip, be sure to check out our travel planning pages. We also have full, detailed itineraries for How to relax in Goa and Kerala; The ultimate South Africa honeymoon guide; How to make the most of 10 days in Japan; Finding hygge in Copenhagen, 48 Hours in Dublin, five days in Iceland, and more. See all our itinerary posts here. 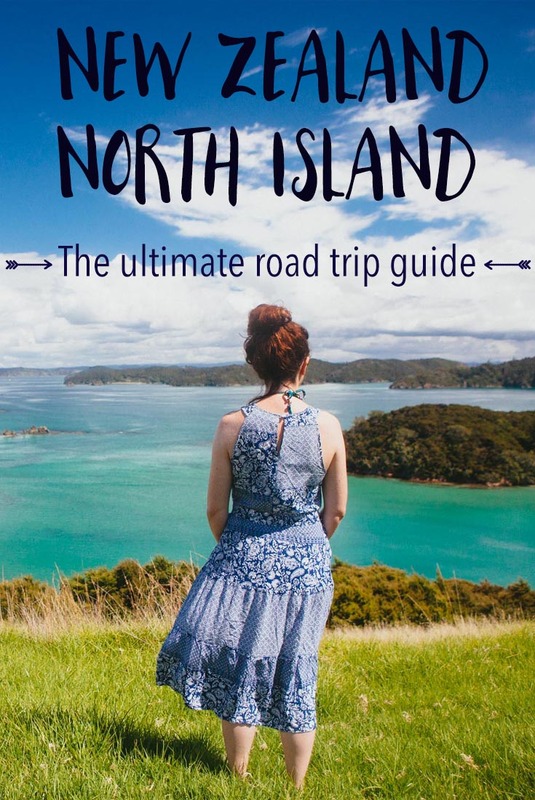 Great itinerary – we did a road trip around the North Island a couple of years ago and visited many of these places, although didn’t make it to the Bay of Islands or to Hobbiton! I love the Tongariro – would like to do it again! Wow this is a fantastic itinerary – you’ve got it covered! I’ve lived in New Zealand most of my 30 years and am yet to tick off all these places. After Hawaii I’ll check out New Zealand. This motivates me! The colors are stunning. Awesome itinerary and photos. It got me very excited for our trip to NZ in a few weeks. How do you like the Britz ActionPod? We are contemplating renting a campervan, but can not find a lot of information on this vehicle. I am trying to figure out if it’ll be comfortable to drive around in for 2 weeks. Also trying to see if there are space to fit our luggage. I keep reading that it’ll only fit soft luggage. Do you find it safe to leave our belonging in the van while we go off hiking? Hi, there’s plenty of room in the ActionPod, definitely enough to fit luggage. I’m afraid I can’t vouch for the safety of leaving your things in the car, but we never had a problem. Have a great time! Great blog! I will be traveling to New Zealand in January and had a couple questions. Our plan is to do a camper van for 3 weeks for our stay there for both north and south islands. Do you think it is necessary to do the camper van or are there parts where you would recommend a car be fine because of costs? How much did you end up spending in gas? Any info on the ferry and if you should take your vehicle across or rent when get to the other side? Thanks for all your help! Thank you for the information and quick reply… one last question. Do you remember about how much you spent in gas? Thanks again! What a lovely post. It’s very evident that you guys had a wonderful time touring the North Island! It’s such a beautiful place with so much to offer. The diversity in landscape is actually phenomenal! I found that while self-driven trips around the North Island gave me a wonderful sense of freedom, it also kept me very busy. I chose to do half of my trip by car, and the other half I enjoyed from a seat in the Northern Explorer railway. It gave me time to sit back and enjoy my surroundings in all their glory, particularly when I went through Tongariro National Park! Hi there, when was your travel period? No one talks about the East Coast from Auckland down to Wellington. In your opinion East Coast Drive or West Coast which you stated is the best scenery in NZ? We are 2 South African retiree’s doing our first trip to NZ-1 Week North and 2 Weeks South. Hi Willy, the reason why most sites don’t talk about the East Coast (and West Coast, for that matter) on the North Island is, because most people don’t have enough time to go there. The “highlights” are lined up through the middle of the North Island (Tongariro, Taupo, Rotorua). Going either East or West is amazing, too, especially White Island, Napier (East) and Taranaki and the Forgotten World Highway (West). It’s just usually treated as somewhere to go the second time you visit. Amazing photos Victoria. What a great blog you have. 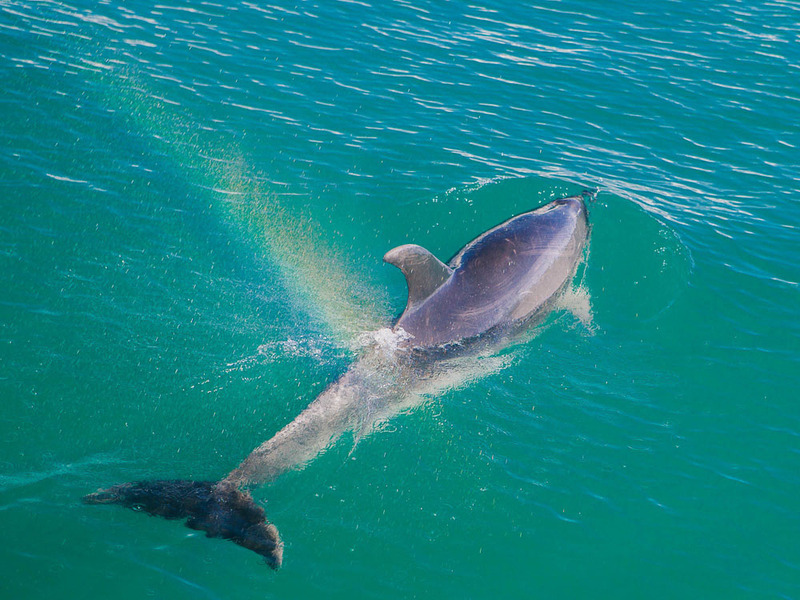 These breathtaking images show how beautiful New Zealand really is. The Lake Taupo water looks really blue, does it look like that in real life?. I will add this to my list of places to travel to. I am a nature lover! Yes, it did look like that – absolutely stunning!